ISIS wives: Should they be allowed to return home or ‘you made your bed now lie in it’? 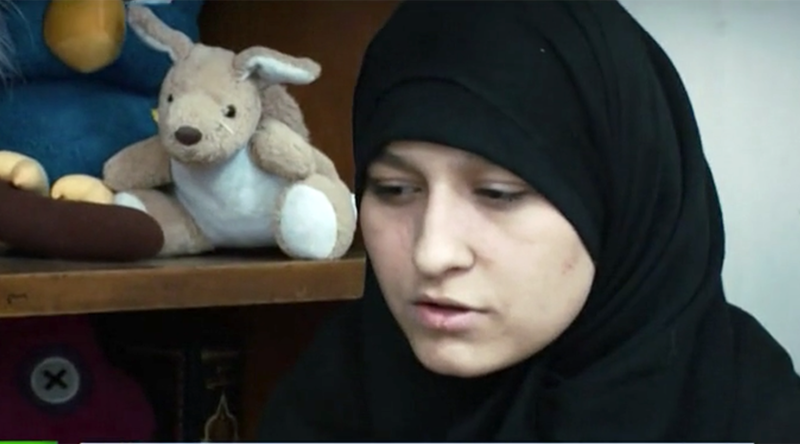 Should ISIS wives be given a chance to rehabilitate and “repent for their crimes”? How do we know these people tell the truth? Should the problem be solved by the countries they left and want to go back to, or by the countries they left for? RT asked Toni Bugle of activist group Mothers against Radical Islam and Mohammed Shafiq from the Ramadhan Foundation what could be done in this situation. In recent weeks RT has been campaigning to help find the families of children whose parents joined the ISIS terrorists in Iraq. 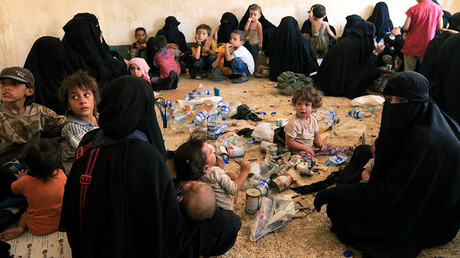 A few days ago there were new arrivals at an orphanage in Baghdad. Most of the children are psychologically damaged and scarred by their experiences. While there's no argument, the children should be allowed to return to their families, deciding the fate of the wives of ISIS fighters is a deeply divisive issue. Mohammed Shafiq: I think firstly, we’ve got to have a security-driven policy that analyzes these women and children to make sure that they are safe, particularly the women. That they haven’t been involved in any criminality or crimes in Syria and Iraq. Once that is done then they’ve got to be rehabilitated, their lives turned around, given an opportunity to repent for their horrific crimes and for the crimes of their supporters in Iraq and Syria. ISIS is a barbaric organization. Anybody who’s gone from the West into Iraq and Syria to fight shouldn’t be welcomed back into the UK. They made the decision at the time to leave, and they shouldn’t be allowed back in this country. They should be held to account for their crimes. RT: Toni, what do you think of that: they should be held to account, but help those who need help? Toni Bugle: … I personally don’t think they should be permitted back into the country at all. We have a duty of care to the people in this country. We have no idea what crimes they have committed or may have committed. Quite frankly I think the people of this country, men, women, and children – have a right to feel safe. Bringing them back in and allowing them to come back in – they will be getting some kind of benefits; the taxpayers are going to be paying for this rehabilitation – that is an awful lot of money for people to fork out and still not feel very safe. RT: Everybody is in agreement that if they are the children, they are innocent victims of crime. What about those who were old enough to know where they were going and what their husbands were probably doing at the very least? MS: As Toni has just rightly said, all of us knew the sort of crimes that ISIS has been responsible for – the barbaric way in which they have been killing innocent people in that part of the world, and around the world. We have seen the rise of terrorism – in our country (UK), as well. Actually, we’ve got to sort out the known war criminals, who have been responsible for the crimes. If there are British children who were taken by their parents to that part of the world, then if there is a chance to rehabilitate them, reform them and bring them back to the mainstream of society, then I think that is something we should welcome. But absolutely no safe place for anybody who’s been involved in criminal activity, terrorist activity in Syria and Iraq. RT: Toni, how do we know what people are saying is true, particularly from a war zone, where it has been complete destruction and almost impossible to find out exactly what’s happened. RT: So how should we deal with them? If everybody puts up a brick wall and say: “You can’t come back,” how does the problem get solved? TB: Why should we solve the problem? As far as I am concerned, the problem was of their own making. There is an old saying: if you make your bed, you lie in it. It is not for us to put it right. Let the country that they are living in deal with them. RT: What’s your take on it, Mohammed?